When gardening organically, making the most of all the benefits of composting helps to minimize waste and deliver essential nutrients back into the soil. When gardening organically, making the most of all the benefits of composting helps to minimize waste and deliver essential nutrients back into the soil. Around 45% of household waste can be composted, and encouraging this process completes the natural cycle in which plants grow, die and return their nutrients to the ground for further life to grow. Feeding your garden’s soil is seen as the most vital part of gardening. By feeding the soil, you are feeding the plant as the soil contains all of the plant’s nutrients, water and air. Sometimes, your garden soil will be perfect for keeping your plants fed, but often it will be too sandy, meaning it holds water less easily, or too damp meaning that air is restricted to the plant. The traditional process of composting doesn’t just provide you with a valuable garden resource, it also plays a large role in reducing household or garden waste. According to the U.S. Environmental Protection Agency, food waste is the least recycled material which in turn makes up huge proportions of landfill space. By choosing to compost waste over throwing it away or burning it, you can minimize the levels of these resources ending up in landfill sites, which release potent methane gas, take up large areas of space and can take hundreds of years to break down. How can I start composting? To start composting, all you need is a space in your garden in which to start piling all of your compostable waste. A well drained site that receives plenty of sunlight is ideal, as the heat from the sun “cooks” the compost, speeding up the decaying process. If you live in a more urban area, you may want to consider using a compost bin, or covering it with a plastic sheet or tarpaulin to keep animals, birds and vermin away, as well as preventing excessive rainwater falling on it. Make sure not to add fat, meat, cooked foods, bones or animal waste to your compost mix as these will not break down into compost and may attract pests. Once your initial compost pile has been built, it is time to be patient while you wait for all of its components to break down. Add to your pile whenever you have waste to get rid of. To produce optimum compost, pay attention to the texture and consistency of the waste you add. By using 50% “green” waste (kitchen waste, grass cuttings, fruit and vegetables etc) and 50% “brown” waste (paper, cardboard, dead leaves) you should be able to keep an ideal consistency, but try altering these levels if your compost appears to be too dry or too wet. Don’t worry too much about keeping things neat or precise, a good compost will flourish when left a little disorganised and to its own devices. Compost needs to be turned with a fork every 6-8 weeks to allow air to reach all areas of the pile and nutrients to be distributed evenly. When usable compost starts to form, it will be found at the bottom of the pile. Compost bins will come with a door at the bottom to remove compost as well as space to add waste to the top to replenish the supply. To improve composting conditions, adding worms can help to speed up the composting process. They thrive in compost’s moist conditions and naturally decompose organic matter. Keep an eye on the consistency of your compost. If it becomes sludgey, it could be that you are using too much green waste and not enough brown. This starves the whole pile of oxygen which hinders the natural decomposition process. Add more dry waste and turn it a few times to add air back in and restore the overall health of the compost. When sticking a fork into your compost heap to turn it, watch out for toads, slow worms or hibernating hedgehogs who may be using it for shelter! The way you use your compost depends on which plants you have growing in your garden. When growing new flowerbeds or starting a vegetable patch, mixing equal amounts of garden soil and compost to a depth of around 6 inches is usually ideal. Your compost can also be used for mulching to protect existing plants from weeds while conserving moisture and improving the fertility of the soil. 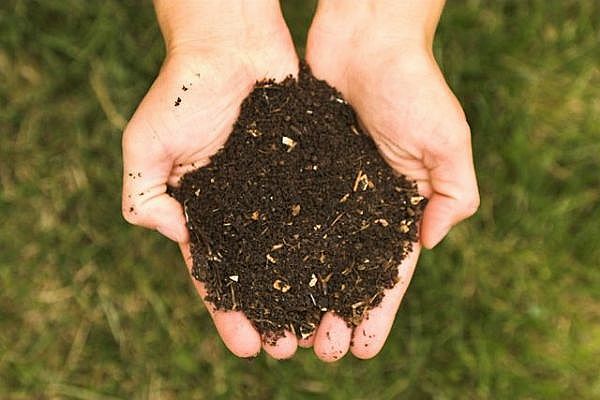 Compost is a valuable commodity for your garden which can be obtained easily and responsibly. With a reliable and consistent supply of this nutrient-rich organic matter to hand, your garden can be fed and sustained whilst minimizing your household’s waste output.